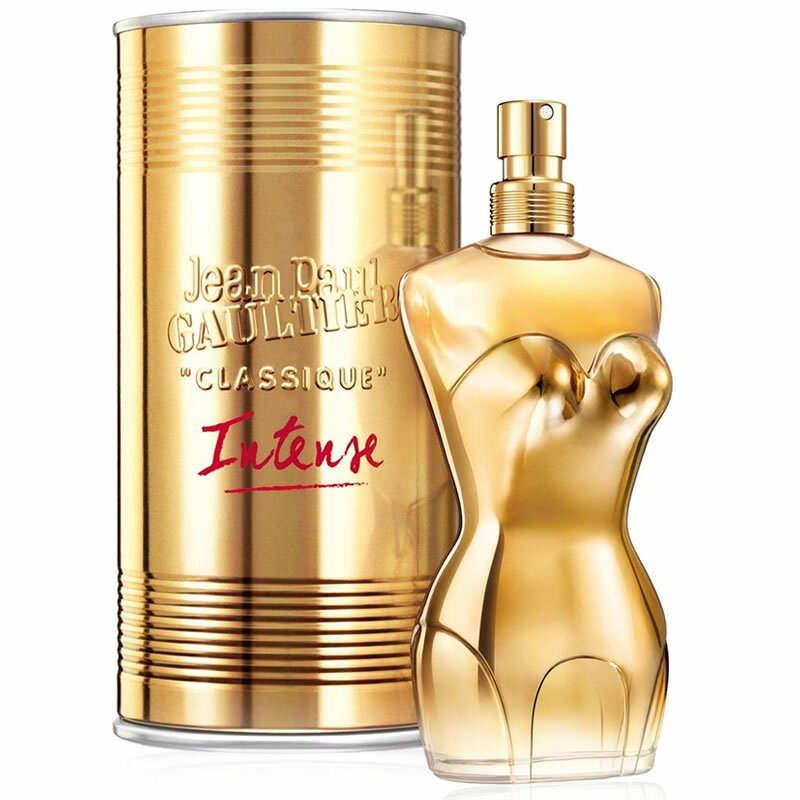 Jean Paul Gaultier Classique Eau de Parfum Intense contains 40% of the original Classique fragrance and 60% is new. The new part of Jean Paul Gaultier Classique Eau de Parfum that makes it into Intense is an oriental and solar perfume. Jean Paul Gaultier Classique Eau de Parfum Intense contains beautifulnotes of tiare, pomegranate and gourmand accords at the top, with the heart of orange blossom, rose and jasmine and the base of patchouli and vanilla. Jean Paul Gaultier Classique Deodorant Spray provides refined freshness for long-lasting, effective protection and the pleasure of the Classique fragrance. Jean Paul Gaultier Classique Eau de Parfum is a captivating, voluptuous fragrance. This beautiful, rounded oriental floral fragrance is ideal fragrance for a sophisticated femme fatale with supreme seductive powers. Jean Paul Gauliter Classique Showergel is a delectably creamy shower gel. This voluptuous foam turns a bath or shower into a moment of true pleasure. The skin feels soft and is subtly fragranced with Classique.